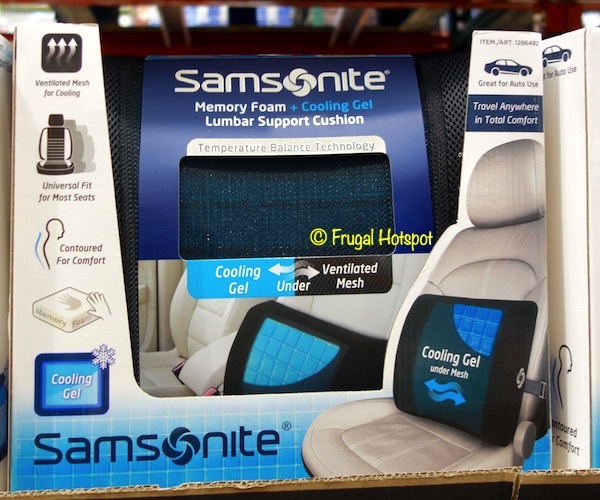 This Samsonite Lumbar Support Cushion fits most vehicle seats with its adjustable strap. Its contoured, ergonomic shape is designed to support the mid and lower back, hopefully relieving back pain. It has a cooling gel under the ventilated mesh for additional comfort. 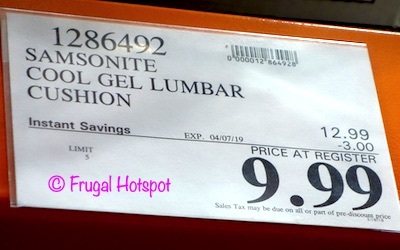 Select Costco locations have the Samsonite Memory Foam + Cooling Gel Lumbar Support Cushion on sale for $9.99 (after instant savings), now through April 7, 2019. That is $3 off Costco’s regular price of $12.99. While supplies last. Item #1286492.